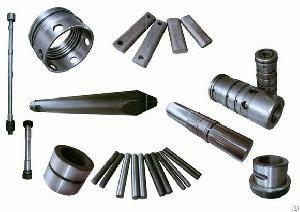 toyo, toku, krupp ect.We also supply excavator/bulldozer undercarriage parts, excavator piping kits. The hydraulic breaker /hammer spare parts we can supply are seal kits, chisel, rod pin, moil point, piston, pipe lines, thrush bush, ring bush, front cover, pedal valve, diaphragm, charging valve, front head, back head, accumulator, through bolt, nitrogen charging device ect. We export our goods to worldwide. Our main markets are china, other Asian countries, South Africa, Middle East, Europe, America ect. We concern much on our quality and get trust from our customers. Our competitive prices and high quality products are very welcome by our customers.